Contribute in a way that honors you. "A Friend of the Silver Street Chapel"
Seva (pronounced say-va) is a Sanskrit word for service. Seva is the spiritual practice of selfless service and the desire to uplift and assist people, giving help and compassion to others with no thought of what is to gain or what is to be lost by doing so. The practice of seva becomes a path to self-realization, which is the essence of yoga. It is the small ramdom acts of kindness, that make a daily difference in the world. 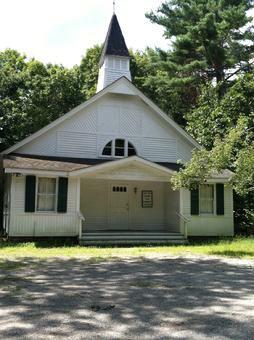 This Beautiful Chapel was build in 1898 by the Community for the Community. Interior Revitalization ~ Plumbing, Bathrooms, Interior Design/Curtains, Carpet/Flooring, Light Construction, Deep Cleaning.